Spend some time away with others to bring things into perspective. Focus on specific issues, meditate, or be creative as you plan and work on projects together. 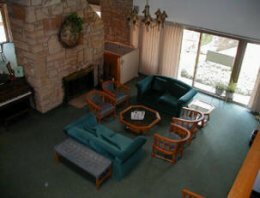 At Olmsted Manor, a successful retreat can be a very rewarding experience for everyone. 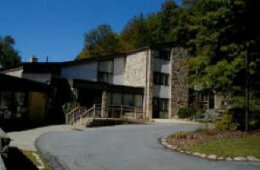 Accommodations include handicapped accessible lodging in the retreat center, meeting rooms, and a beautiful outdoor patio surrounded by lush green forest. As part of the Olmsted Manor Retreat Center, guests can also choose to stay in the original Olmsted Manor House, within walking distance of the meeting rooms and conference center. By request, family style dining can be arranged for your retreat. Olmsted Manor Retreat Center is in the village of Ludlow, in northwestern Pennsylvania, surrounded by the Allegheny National Forest.